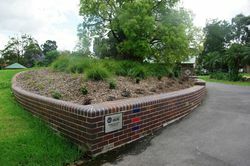 The walkway features artworks inspired by poems from World War One. The extracts of the poems embedded in the artworks are testament to the experience of ANZACs who fought in the War. 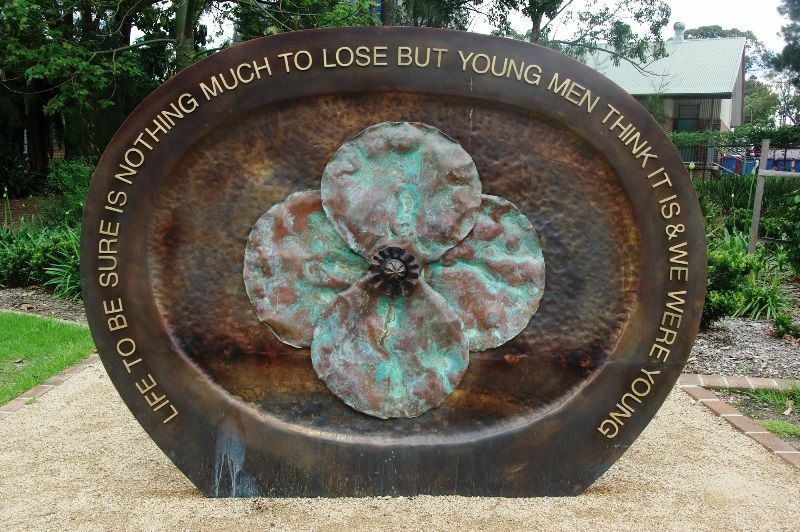 The artworks reference the war poetry and the poppy as a symbol of Remembrance. 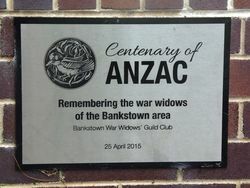 Well-known artist, Jane Cavanough, who is also behind the sculptures outside the Bankstown Arts Centre, is the mastermind behind the works at Bankstown City Garden, that depict the city’s connection to World War One. 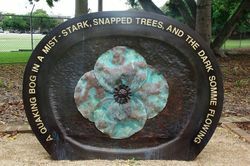 Ms Cavanough’s work featuring A.E Housman’s famous poem features a poppy inside a bronzed casing with the words etched from his ‘Here We Dead Lie’ poem. 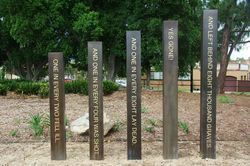 This was constructed by Ms Cavanough and fellow artist and metal fabricator, Thomas Misura. Her other two works were inspired by J.C. Hackney’s Evacuation of Gallipoli poem and The Farmer Remembers the Somme by Edward Palmer.